So I had this wild pitch that I still may do because my only holdback is not having a welder. I wanted to do a single sided muffler real low like the new CBR. But I just bought a zero big bore titanium midpipe. Most straight through pipes are fine. 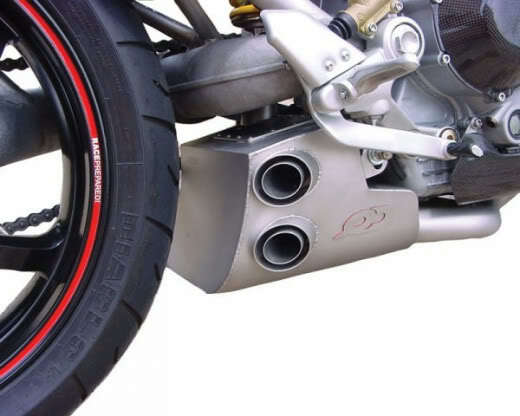 Al yoshimura pipes are approved. When you do finally get your tools, you could make a setup similar to what's available for Ducati's. 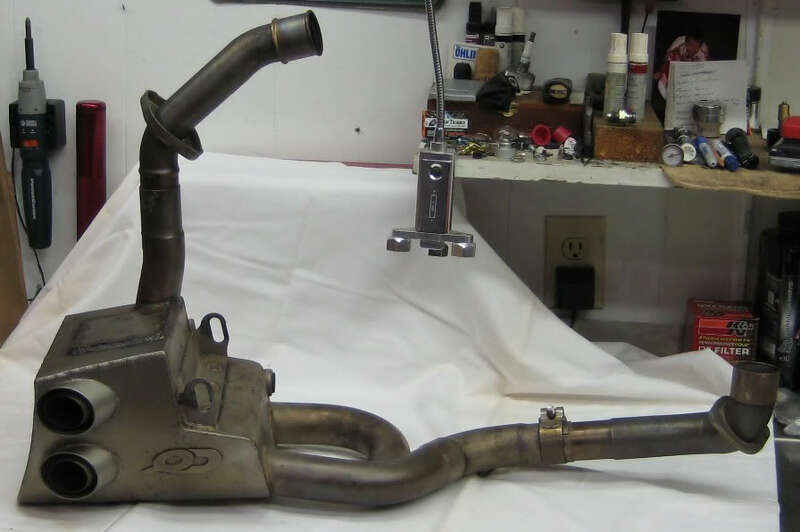 There are also several DIY websites showing you how to make your own mufflers. Very simple to make actually. hey crux I saw that photo in your thread. I want to make something like that for sure. Maybe for now Ill have to gun it out with some cheap CF. I wanted to see the insides of that and the flow rates. I think you have a photo of that as well. I got my tools but not the ones I asked for. I think they are stashed in my trunk. I really need my tig set. I may just buy one in the spring. For now I think some cheap low hanging slipons a good battery and that swingarm will do until my tank and tail are done. Been silent on here but I have been riding the bike snow and all. I may look into a 50cc beater for the winter as I dont mind the cold but I would like to put her away for the nasty parts. No salt but too much rain. Regarding the Quat D muffler pictured above, all the research I did was based only on Ducati's V-twin. The Quat D muffler doesn't make as much power as a nice set of slipons, but 9 out of 10 guys didn't care, because the sound is amazing. The Quat D is also a little bit lighter than a couple mufflers. For a TIG welder, take a look at Lincoln's Square Wave TIG 200. I've had mine for about a year now and think it's a fantastic machine for the price. Last edited by Wolverine; 12-14-2016 at 03:52 PM. That made me laugh pretty hard mr. ^^^^! All the arguments about single and dual muffs scare me. one poster claims 15 h.p. losses who knows if thats true. Its on this forum. QD isnt a single but the way id run the chambers might screw flow up. I may very well make some link pipes and be done with it. I can always hand bend some pipe thread it and slip a flair on. I know thats a lot more work than a few welds but I no gots for a while. Everyone here uses stick. I may try aluminum. I dont know Im just sad that I cant make link pipes. Ive had acess to a welder since 14. I feel naked. Another thing about these pipes. They have an 02 bung.... is that a normal thing? As I said I did fit them open header. EDIT: Yeah if I buy that tig before we buy land my wife will never open funland again. Last edited by RedStormJ; 12-13-2016 at 08:51 PM. The single muffler debate was put to rest on the vtr1000.org site. I forget who it was, but they went single muffler and lots and LOTS of tuning later, they got a couple more horsepower out of it than duel muffs (haha...muffs). So, two things to consider going to one muffler. One, there will be a lot of tuning to make it work. And two, I understand using just one muffler makes the bike quite loud. Going with a Quat D setup, as far as I know, hasn't been done with a VTR. I mocked one up with cardboard using the stock header. I still have the templates on a shelf along with my X-Wing templates. I bought four headers and was going to make as many exhausts out of stainless steel for memebers here, but life kind of got in the way. Still want to make them though. Removing the mufflers makes the bike very narrow and sleek. If your header has O2 bungs, then they were either used for on the dyno or the previous owner installed wide band O2 sensors to get the carbs dialed in. You know you want a nice TIG welder! You could even look at the cheap Chinese inverter TIG's. You can pick up a new one for a few hundred bucks. However, the build quality is kind of hit & miss with those. 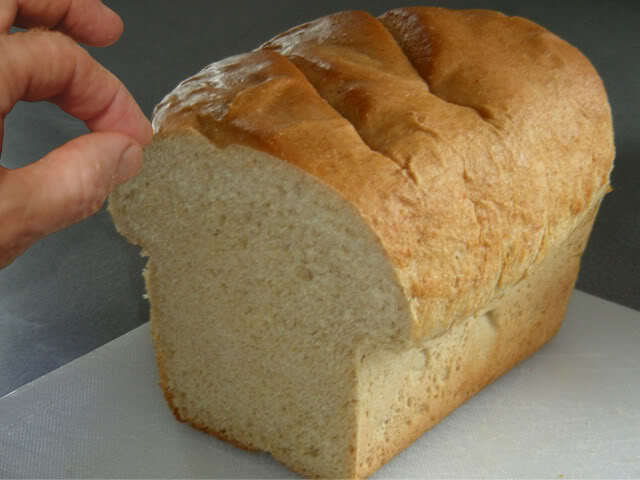 Quick Reply: Pinching a loaf. light slipons or hand made.